This Instant Pot delicata squash is so delicious! Super sweet and smooth, delicata squash is the tastiest of all squashes! Throw delicata squash into the Instant Pot and it will cook it to perfection! Cut delicata squash in half lengthwise, then scoop out and discard the seeds. Add 1 cup of water to the Instant Pot, then add delicata squash halves (cut side up). Close the Instant Pot lid and set the valve to a Sealing position. Press the "Pressure Cook" or "Manual" button and set the time to 8 minutes on High pressure. When it's done cooking, quick release (QR) the steam. 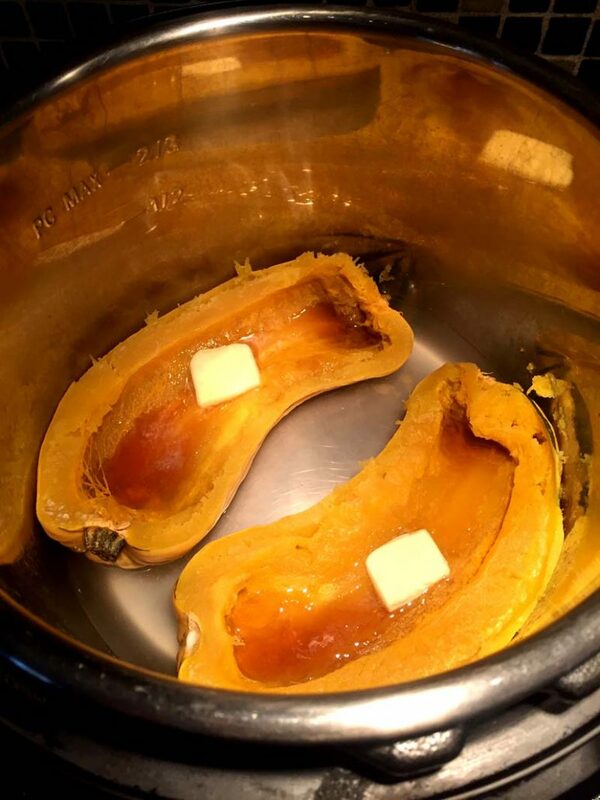 Remove delicata squash from the Instant Pot, and top with butter, maple syrup and cinnamon. You can cook more than 1 delicata squash at a time (as long they are below "Max Fill" line in the Instant Pot). The amount of water and cooking time remain the same. If you want to cook delicata squash whole (without cutting it in half), you can, just increase pressure cooking time to 15 minutes. Beware that the skin of the whole delicata squash will split, so the presentation will not be as good as when it's cut in half.